After his five-day visit to Kenya recently, Kyadondo East Member of Parliament Robert Kyagulanyi aka Bobi Wine is set for a trip to the Caribbean Island nation, Jamaica. 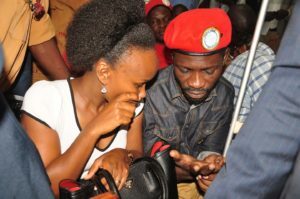 This time, Bobi Wine will be in the company of his wife Barbara Itungo Kyagulanyi, our sources within the People Power outfit have revealed in our Uganda news now. We have been told that Bobi Wine’s trip to Jamaica is intended to solicit for moral support as he has done previously in the US and neighboring Kenya. The trip to visit Rastafarians is expected next month or December. It is important to note that Bobi Wine has been discrediting the government of Uganda while on his tours although some Kenyans blasted the musician turned politician while he was in Nairobi. Some Kenyans questioned Bobi Wine’s purpose, arguing that although he rallied Kenyans, he has no message for Ugandans where he comes from. His visits to the US and Kenya have been seen as largely failures, having failed to meet any significant political figures. In Kenya, he attempted but failed to meet opposition leader Raila Odinga. Some of the individuals Bobi Wine intends to meet in Jamaica include Sizzla Kalonji, Capleton, Buju Banton as well as Bob Marley’s family. It is also important to note that the current Jamaican reggae stars do not have the significance of people like the late Bob Marley. Unlike Bob Marley who loathed any association with the oppressors of black people, Bobi Wine openly hobnobs with agents of imperialism like Robert Amsterdam. 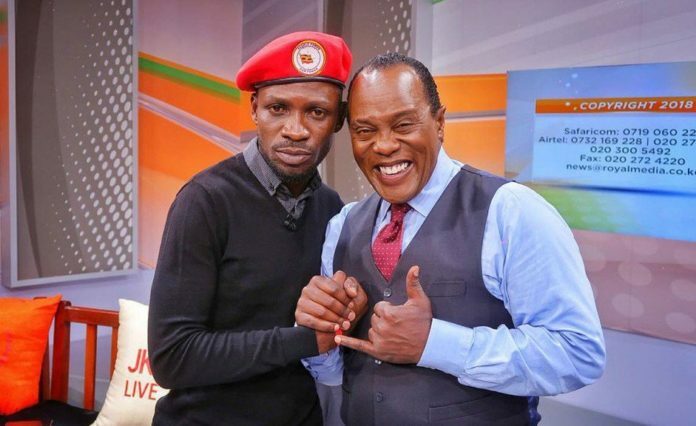 While in Kenya, Bobi Wine was hosted by Jeff Koinange on which he told a number of falsehoods. He for instance alleged that the government had stopped him from appearing on any political talk show in Uganda. He had however just appeared on popular show The Hot Seat on KFM hosted by Patrick Kamara. While in Kenya, Bobi Wine who had been invited by controversial Kenyan legislator Babu Owino also met students and members of the civil society. He also used his visit to meet his internationally known lawyer for international mercenaries Robert Amsterdam. Bobi Wine has faced sharp criticisms especially for claiming to represent Ugandan youths yet he hasn’t helped his community prosper as he has. “I wonder why Bobi never takes time to encourage ghetto youths to work as hard as he did & to change their mindsets and work ethic in order to be as prosperous and successful as he is. He keeps pushing the narrative that regardless of what u do, u can’t succeed and yet he did,” Joshua Mushwa tweeted during Koinange’s show.